Update July 5 - Don't forget to redeem this coupon this coming Friday July 7! 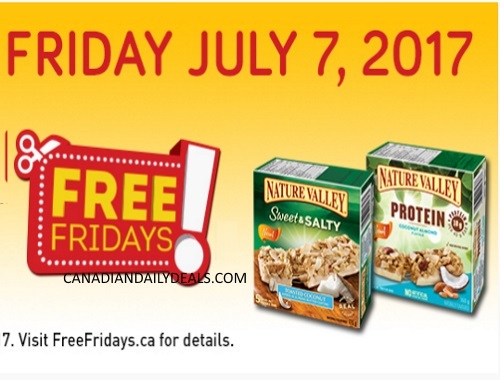 Originally posted June 12 - Another Free Friday coupon has been added! Get a Free Nature Valley Sweet & Salty Coconut Bar or Protein Coconut Bar 175g with the purchase of any Nature Valley Snack product (any size). This coupon is only redeemable on one day, Friday July 7, 2017. This is a mail coupon, available for a limited time! Please note, you can get a second set of this coupon here on the Savings Made Delicious portal. Missed this one? Check out the other upcoming Free Friday coupons here.